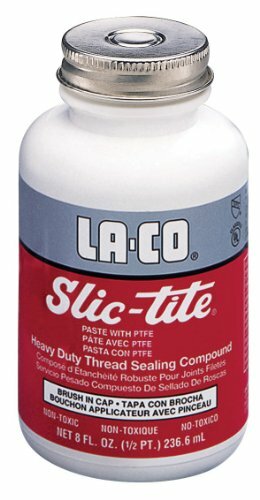 Specially formulated with PTFE for added sealing power, Slic-tite is the premium thread sealant paste. It has been successfully used for decades to seal water, air, steam, natural gas, and more. It removes easily from skin and clothing, reducing post-job cleanup time. Slic-tite thread sealant works in extremely high-pressure systems, and it comes with several approvals to ensure industry standards are met. If you have any questions about this product by La-Co, contact us by completing and submitting the form below. If you are looking for a specif part number, please include it with your message.